Have you ever wanted to get Feedback from your readers in a structured manor but did not want to use your comments form? Good, then read on as we take you on a very simple tutorial to add a Form to your site/blog post that allows you to collect the responses from your readers. 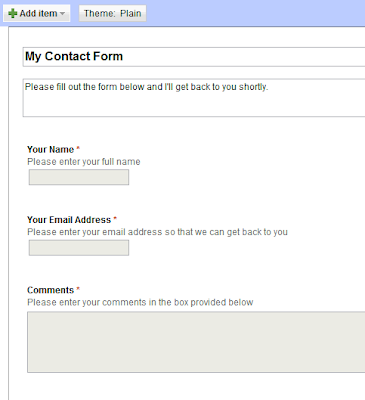 For this tutorial we'll be creating a simple Contact Form but you can create/capture whatever information you like in your form. First we have to create the Form. To do this we're going to use Google Docs/Drive. 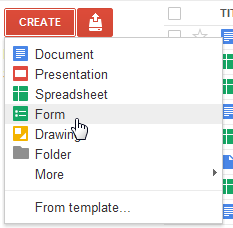 1) Head on over to https://docs.google.com and click the Create button followed by Form. 3) We create the Questions/Fields that we want to Capture. We can then decide if we want this field to be Mandatory/Required. 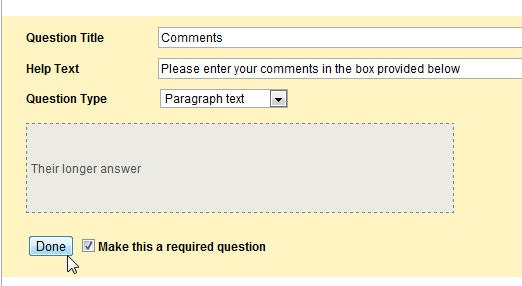 In this case we do so I'll tick the "Make this a required Question" option. Once done, click the "Done" button. Now we'll go ahead and create 2 more questions. One for email address and one for their comments. To add a new item click the Add Item button and select what you want to add. For a comments box I'll create a new Paragraph Item. 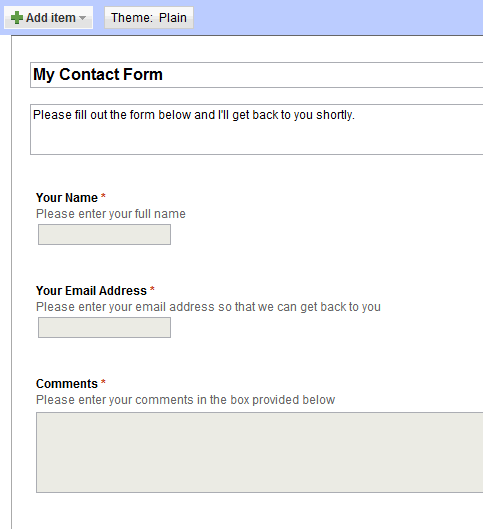 4) Now that we have created our contact form it should look like this. (Remember that at any time you can go back and edit/change the questions/text etc). 5) The next step is get the embed code so that we can post it to our site/blog. Click the More Action button and select Embed. 6) Copy the embed code from the dialogue box. 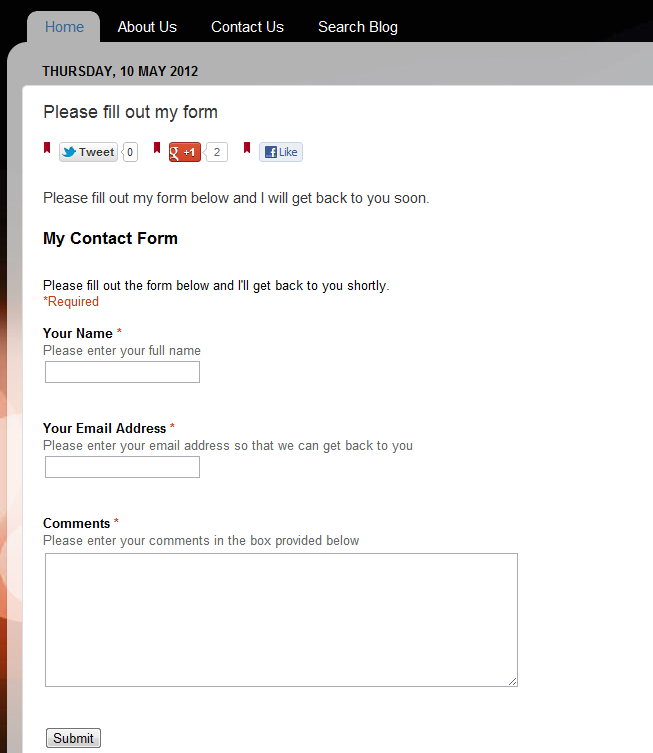 7) Now we need to turn on Notifications so that you get sent an email whenever someone fills out a form. This is optional so skip to step 8) if you don't require notifications. You'll be taken to a blank spreadsheet where your form submissions will be stored. From here click the Tools menu and then Notifications. Now click the option "A User Sumbits a Form" and then when you want to be notified. eg either a Daily Report or an immediate email. The choice is yours. I prefer to be emailed Straight Away. Give the post a title and some introduction text and then press save. Note: You can change the width="760" height="638" parts of the embed code to suit the size of your blog. 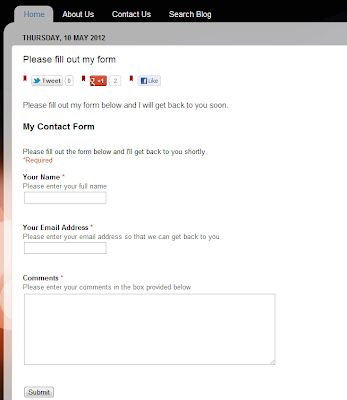 Once done, press publish and your Form should now be on your blog! And that's it! Users will now see the form and when they submit one you will be sent an email and all their replies will be nicely stored in your Google Spreadsheet. There is so much more you can do with Forms etc but that will be for another day. 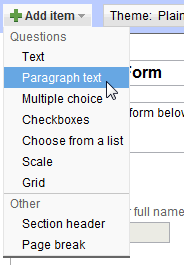 I suggest you look at the Suggested Reading below to see what else you can do with Forms. There are plenty of other systems that you can use. I also use the excellent service from a company called JotForm. They all work in a similar way in that you create a form and they provide you with some code to add to your blog/site. I hope you have found this tutorial useful and if you have any questions/problems then please do not hesitate in asking in the comments below. Hey Tony Simpson glad you found it useful. If you run into any problems or have any questions feel free to post here in the comments and I'll do my best to help. Thanks for the tutorial, But I am already using this over http://www.tekhnologia.com but I want some alternative to google Forms. Yes it is a good function of Google doc. I had created the same for one of my blog in the blogger platform. It is really a good function because when someone will fill up the form we will get notification through email and in addition all data will be maintained in the excel sheet of Google doc. 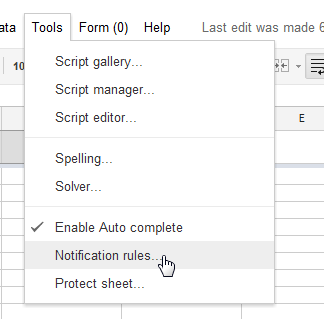 in addition all data will be maintained in the excel sheet of Google doc.